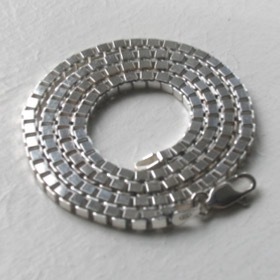 Italian diamond cut sterling silver box chain, width 2mm. This is the finer of our 2 silver box chains. The sides of the box links are diamond cut and so have an incredible bright sparkle as the edges catch the light. The surfaces of this box chain are like mirrors. This silver box chain looks geat on its own as a silver necklace or as a pendant chain with your favourite pendant. 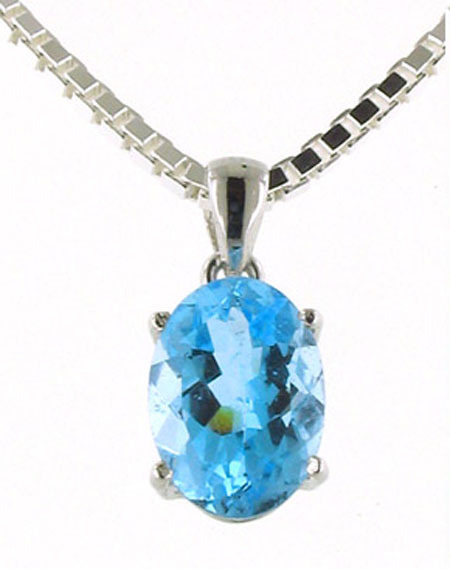 It works particularly well with faceted gemstone pendants, balancing the sparkle. This is a stunning classic box chain made by one of Italy's finest chain makers. 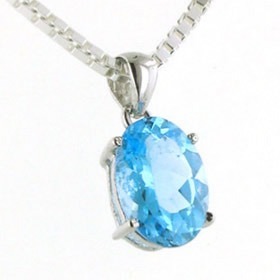 It represents fabulous quality at a great value for money price for a premium sterling silver box chain. Also available in 3.1mm width. Your Booth and Booth silver box chain will be lovingly packaged in a smart presentation box - for free.